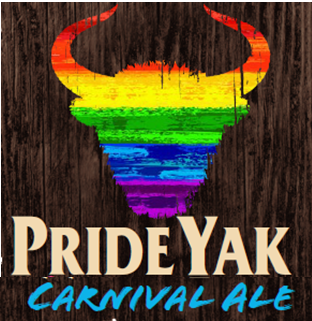 Carlton & United Breweries (CUB) has announced the launch of Pride Yak Carnival Ale for the Sydney Gay and Lesbian Mardi Gras. This Mardi Gras, CUB is encouraging Australians to roam free with pride; celebrating a world of differences with Carnival Ale available for an extremely limited time before, during and the week after the Sydney Mardi Gras. The Yak Ales have always treated the brand as a family, with each beer having its own distinct unique personality, from mellow Lazy Yak to the tropical Wild Yak. The upcoming Pride Yak Carnival Ale for the Sydney Gay and Lesbian Mardi Gras was created to further demonstrate and celebrate individuality whilst showing support. The creative concept was the brainchild of Sydney-based brand design consultancy WhatCameNext, which has worked with the Yak Ales brand since inception.